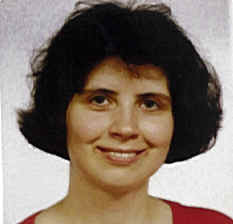 member of the Czechoslovak team on the International Physics Olympiad in 1987 and 1988. Faculty of Mathematics and Physics of Charles University in Prague. Diploma thesis: "High temperature hole burning spectroscopy of porphyrin systems"
"Structural biochemistry" program at the Eotvos Lorand University in Budapest, Hungary. Thesis: "Identification of Protochlorophyllide structural forms in plants by fluorescence spectroscopy"
English - good, Hungarian - native language, Czech - good, Slovak - good, Russian - basic level. Low temperature conventional and high resolution fluorescence spectroscopic methods were applied to investigate the effect of the protein environment on the structure and electronic energies of Mg- porphyrin derivatives in native systems. The method was tested on a model system, Mg-mesoporphyrin horseradish peroxidase (MgMP-HRP) and on its complex with a substrate, naphtohydroxamic acid (NHA). As native systems of Mg- porphyrin derivatives the protochlorophyllide (Pchlide) forms in the epicotyls of dark-grown pea seedlings and wheat leaves have been studied. The splitting of the lowest energy excited state of MgMP in HRP was characterized, and two structural forms of MgMP were identified. It was shown, that the binding of NHA reduces the structural variety in the configuration of MgMP to a single form with a more distorted structure and thus results in an enlarged splitting. In the spectra of pea epicotyls, the fluorescence bands at 628 and 634-636~nm were studied. Based on the high resolution of the technique, the excitonic nature of these bands could be excluded, and the pure electronic (0,0) emission range of two monomeric forms of Pchlide was determined. The spectral difference was interpreted as a consequence of environmental effects of the surrounding matrix. On the basis of earlier results, the 636~nm form is considered as an enzyme-bound Pchlide and the 628~nm form as a Pchlide pool. increasing the temperature, the intensity of Band~II and of its satellite, Band~III decrease, while Band~I remains unaffected. Band~II shows also a broadening towards the blue side at higher temperatures. Both the quenching of fluorescence and the spectral change was explained by a thermally activated formation of a non-fluorescent intermediate state in the excited state of Pchlide acceptors. This project is related to the studies of Dr Rita Galántai on the cofactor activity of denatured proteins in plasmin activation process. To answer this question, we are investigating the structural changes of human serum albumin (HSA) caused by heat denaturation at different conditions. We are using fluorescent dyes that are routinely used as indicators of amyloid structures. of Mg-mesoporphyrin embedded in Horseradish Peroxidase, Biophys. J, 73 (1997) 397-405.
prosthetic group to the apoprotein studied by energy selected fluorescence excitation and vibronic hole burning spectroscopy J.
Phys. Chem. B 102 (1998) 5932-5940.
protochlorophyllide forms in pea epicotyl are both monomeric Biochim. Biophys. Acta, 1365 (1998) 531-540.